From Wasim Akram to Shoaib Akhtar, many cricketers have expressed their choice in the upcoming general election 2018. Pakistan will go to poll on July 25 after the last elected government completed its term on 31 May. Cricketer-turned-politician Imran Khan, who looks to emerge victorious after when the results are announced as per the Pakistan media reports, is finding support from his former teammates who have thrown their weight behind the PTI leader. 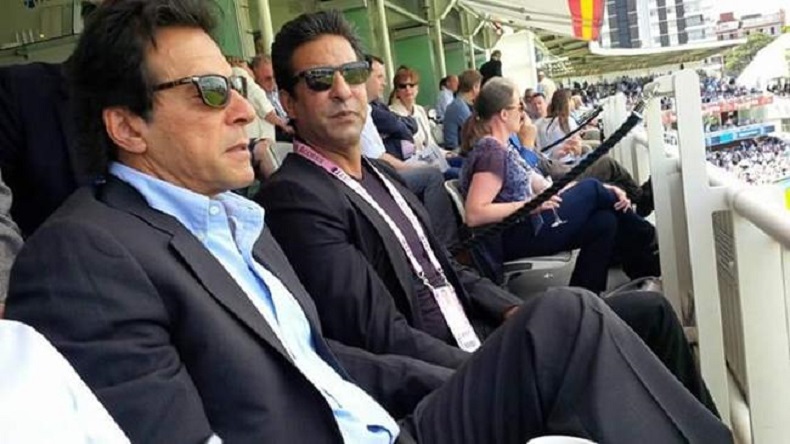 Legendary bowler Wasim Akram is among the most vocal supporter of Imran Khan’s party Tehreek-e-Insaf. Hailing him for winning the championships back in 1992, he asserted that Pakistan will become a great democratic country under Khan’s leadership. Akam did not stop here and said that Khan’s elevation to the post of PM is the need of Pakistan right now. Akram’s partner and another legendary Pakistan bowler Waqar Younis has also thrown his weight behind his former captain. Younis expressed admiration for Imran’s honesty and believed that Imran as PM was the need of the hour. Will it be Easy ??? Nope..
Will it Worth it ??? Absolutely.. While both the leaders are clear about their choice in the upcoming election, the Rawalpindi express, Shoaib Akhtar didn’t show the same enthusiasm. His rather equivocal tweet was more focussed on calling out Pakistan citizens to exercise their right to vote. Do you think IMRAN KHAN is our future prime minister?? But hey do go out & vote & take control of our future by electing the right guy for our country ..
Former Pakistan captain Mohammad Hafeez refrained from showing his political affiliation, instead he chose to use the medium to urge people to come out and vote on 25 July. The list goes on, Umar Gul joined the league Akthar and Hafeez and only urged people to come out and vote. Pakistan will go to poll on July 25 after the last elected government completed its term on 31 May. Interestingly this will be the second time that Pakistan will have free and democratic transfer of power without the Military meddling in the elections.